Avaaz - Stop the extinction crisis! 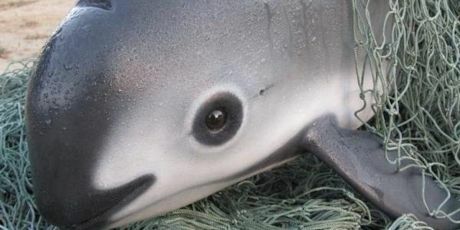 We just found out that vaquitas -- the super-cute "mini-dolphins" that live off the coast of Mexico -- probably won't survive. We've been fighting for them, but there are now only 12 left, down from 30 last year! It’s not just vaquitas being driven into oblivion. A sixth mass extinction is underway and humans are almost entirely to blame. Almost two-thirds of wild animals have disappeared in the last 50 years! Scientists say the solution is to protect half the planet, letting nature recover and restore itself -- but our governments are dragging their feet because this crisis, and its solution, isn't at the top of headlines! But we have a small window to change that: a key nature summit is happening RIGHT NOW in Montreal, where our governments will discuss the course of protection for the next 30 years! Sign the global campaign for nature -- Avaaz will take our message to the summit and tell the story we need our leaders to hear.